Food, events, culture & life in London and Singapore through an immigrant lens. One thing about living in hot climates is that you often see people napping out in public. And why not? 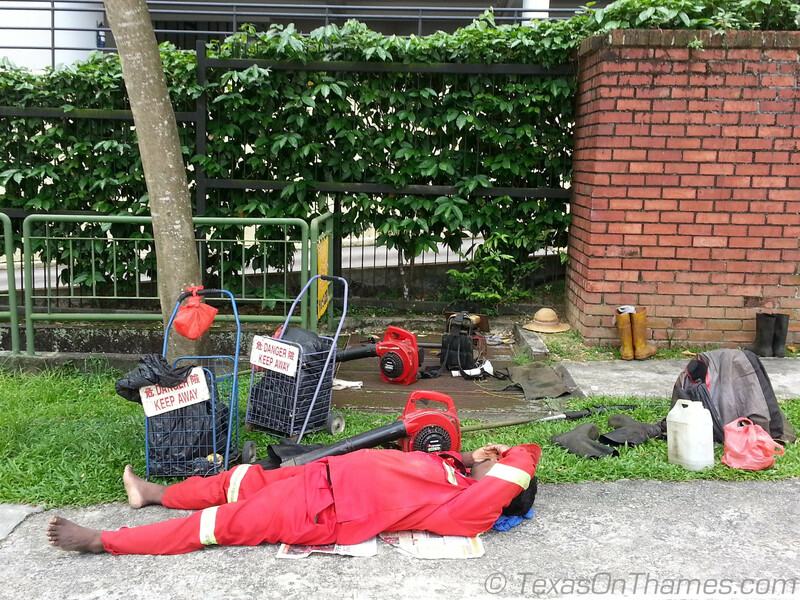 With all the heat, you are bound to get a little tired – especially if you work as hard as some of the foreign workers in Singapore. I’m just not sure you should do it so close to equipment marked as dangerous. Or perhaps he’s guarding it? Singapore foreign worker enjoying a snooze on his lunch break.